"The ability to ambulate is one of God’s most underappreciated gifts. It is my duty as a physician to not only remain current with the technological advances my specialty has to offer but apply them to the best of my ability for the optimal benefit of the patient." Dr. Brian E. Coleman is a board-certified, fellowship-trained orthopedic surgeon, with expertise in foot and ankle surgery, sports medicine, fracture repair/reconstruction, and gait (limb movement) analysis. 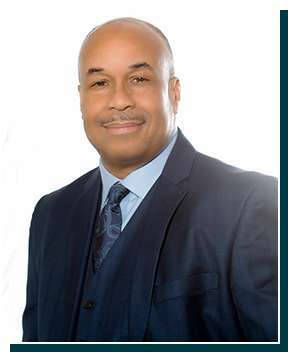 In private practice since 1992, Dr. Coleman has performed over 5,000 cases in his subspecialty interest of foot and ankle, ranging from ankle arthroscopy, ligament/tendon reconstruction, bunions, hammertoes, neuroma (growth of nerve tissue), structural deformities – flat foot/cavus (high-arch) foot correction, and limb-length discrepancies. Dr. Coleman also has vast experience in PRP and stem cell therapy for common conditions such as plantar fasciitis, Achilles tendonitis, and ankle arthritis. Dr. Coleman earned his medical degree at Indiana University School of Medicine in his hometown of Indianapolis. He successfully completed his orthopedic training at Howard University Hospital in Washington DC. In 1991, he received his fellowship training in foot and ankle surgery at Baylor College of Medicine in Houston, Texas, renowned for their advanced technology in the treatment of sports injuries including plantar fasciitis and traumatic cartilage disorders. Dr. Coleman is a diplomate of the American Board of Orthopaedic Surgery and a member of the American Academy of Orthopaedic Surgeons and American Orthopaedic Foot and Ankle Society. He has been the primary chairman of the foot and ankle section of the National Medical Association since 1996. He has served as one of the team physicians for Florida Atlantic University (FAU) and is presently team physician for Atlantic Community High School. He is also an associate professor at FAU's College of Medicine. Dr. Coleman has a profound interest in the surgical treatment of arthritic conditions and structural deformities of the foot and ankle. Not only is he one of the few surgeons who perform total ankle replacement surgery locally, having performed the first total ankle replacement in the history of Delray Beach Medical Center, but he also has special certification in several total ankle replacement systems including the Inbone™ and Infinity™ systems by Wright Medical, and the STAR™ system by Stryker. To date, Dr. Coleman is by far one of the most experienced surgeons in flatfoot/cavus reconstruction and total ankle replacement in the state of Florida. Being one of the few orthopedic foot and ankle surgeons in Palm Beach County, Dr. Coleman’s practice has a large focus on revision reconstructive foot and ankle procedures from previously failed surgeries. If you suffer from ankle or foot-related problems or severe ankle arthritis, request a consultation with Dr. Coleman today. Call for your preferred appointment or request an appointment online.